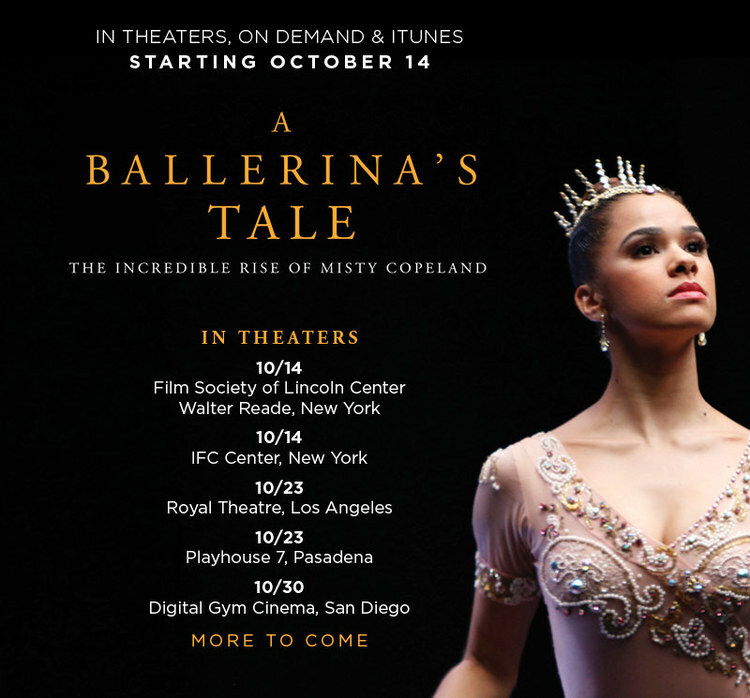 Misty Copeland has proven to the classical ballet industry that she will not back down or give others the power to define her strength because she “has pulled herself up the ladder at American Ballet Theater (ABT) from the studio company to the corps de ballet to soloist” (AballerinasTale.com) and let us not forget that Copeland was also named Principal Ballerina June of this year. This film could not have came at a more perfect time and I can’t wait to see what Director/Producer Nelson George was able to create. I’ll be waiting for the film to hit a theater near me in Philly but until that happens you can view the film at select theaters below.